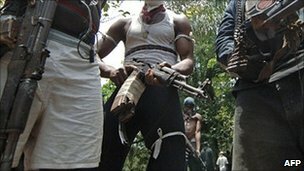 Several days after the abduction of a chieftain of the Peoples Democratic Party, Mr. Dicken Worlu, his captors are demanding the sum of N30 million as ransom. Worlu was taking away from his residence on Ojike Streer in Mile One, Diobu area of Port Harcourt about a week ago by unknown gunmen. A source said the kidnappers, who had been silent since they kidnapped Worlu had eventually established contact with the family of the victim and demanded N30 million to free him. The wife of the victim, Patricia, said they (family members) had been praying for the unconditional release of the head of the family. the family to sympathize with them over the incident. appealing to the kidnappers to have pity on the family and release my husband. the dwindling state of insecurity in the country. the unconditional release of the PDP chieftain. Akporhonor lamented that criminals were trying to portray the country as a jungle with their criminal activities, even as he told the wife of the kidnap victim to remain assured that her husband would be released. on the matter was not successful as calls and text message to his mobile phone were not replied.